Please join us for our annual Celtic dinner featuring game stew and other foods, including a traditional Scottish haggis. A haggis is a combination of meat and oatmeal enclosed in a casing. The dish will be served after a reading by our friend and local actress, Gillian Swanson, a native Scot. 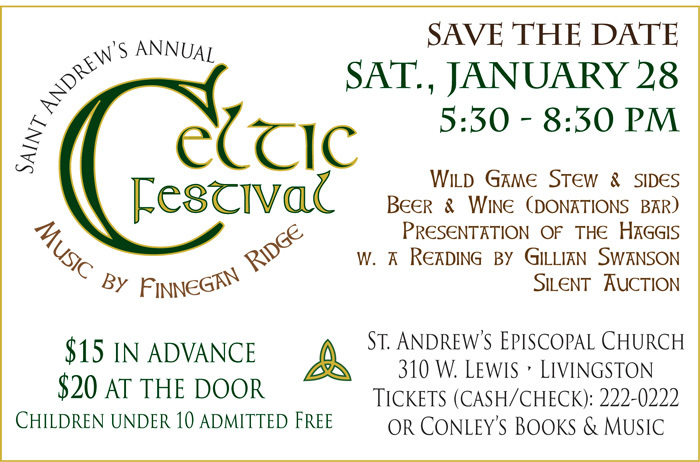 Live Celtic music will be provided by Bozeman’s Finnegan Ridge, wine and beer will also be served (donations welcome). Tickets for the dinner are: $15 for adults in advance, or $20 at the door. Children under ten are admitted free. All are welcome. 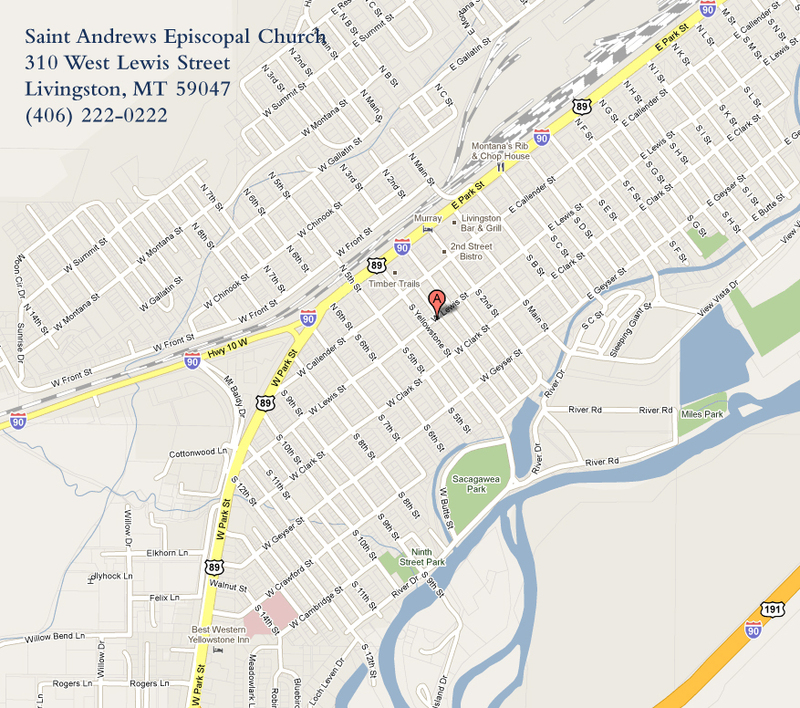 This annual tradition honors St. Andrew, the Patron Saint of Scotland. St. Andrew’s Day is the national day of Scotland and is celebrated by Scots around the world on November 30th. To make reservations for the Celtic dinner, or for more information, please call St. Andrew’s church office at (406) 222-0222. Tickets will be available at the church office at 310 West Lewis Street between 9 AM and 12 Noon, Monday through Thursday, or at Conley’s Books & Music during store hours beginning on Saturday, January 14.